CAPE CANAVERAL, Fla.—After a two-year chase, a NASA spacecraft arrived on Dec. 3, at the ancient asteroid Bennu, its first visitor in billions of years. Flight controllers applauded and exchanged high-fives once confirmation came through that Osiris-Rex made it to Bennu—exactly one week after NASA landed a spacecraft on Mars. The collection—parachuting down to Utah—would represent the biggest cosmic haul since the Apollo astronauts hand-delivered moon rocks to Earth in the late 1960s and early 1970s. NASA has brought back comet dust and solar wind particles before, but never asteroid samples. 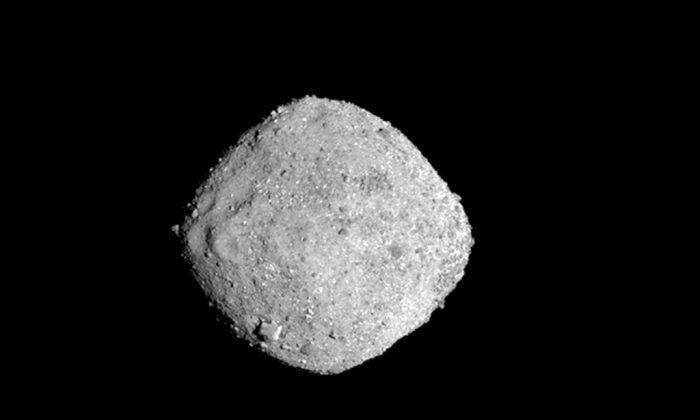 Japan managed to return some tiny particles in 2010 from its first asteroid mission, in a spacecraft named Hayabusa.